Jason Anders: What are your top three favorite film performances? 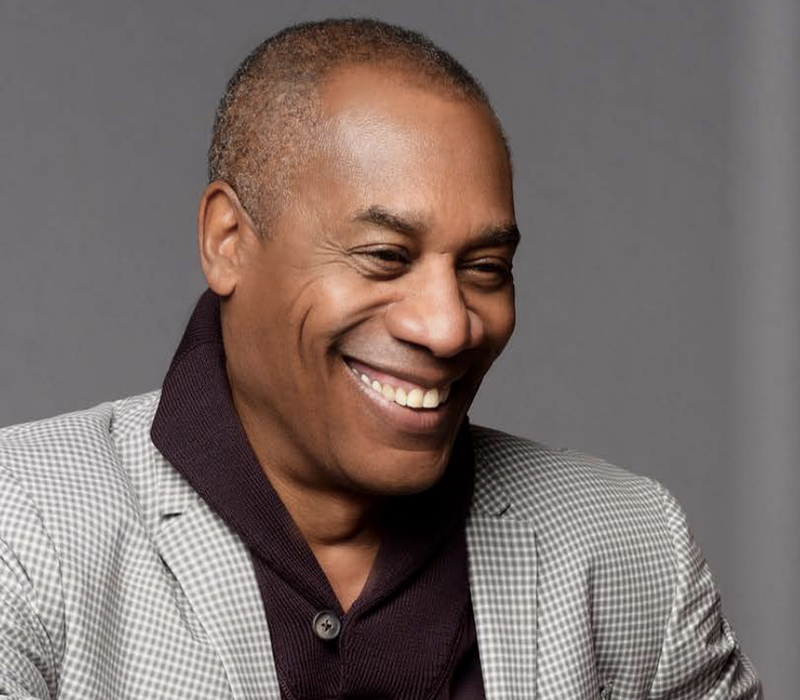 Joe Morton: Top three favorite performances: Peter O'Toole in Lawrence of Arabia, Robert De Niro in Raging Bull and Harry Belafonte in The Angel Levine. I'm sure if I were to answer this question in a series of consecutive days I would come up with different answers each day. JA: Tell me about the experience of one of your first major film appearances, under the direction of Blake Edwards for the 1983's Curse of the Pink Panther. JM: It was great meeting Blake Edwards and Julie Andrews (who visited the set) but, honestly, I was a speck on the wall. The best thing that came out of doing that film was seeing myself in the film on a flight to London and being able to impress a very lovely young English woman on the plane who didn't immediately believe it was me on the screen. I suppose for her, we all looked alike? So it was hard for her to be sure? But I eventually convinced her it was me. Jason Anders: What it was like to grow up with your father serving in the U.S. army and spending parts of your childhood in West Germany and Okinawa? 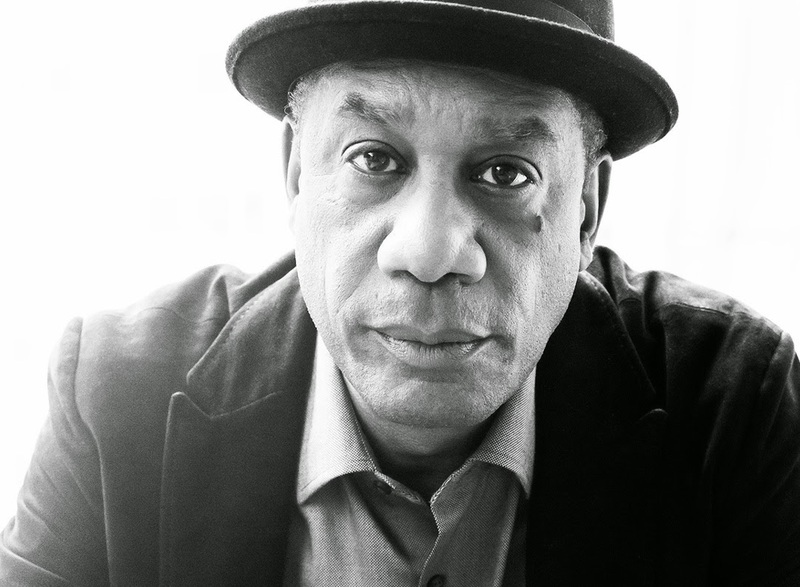 Joe Morton: He was a captain in the artillery. Essentially, his job was to integrate the armed forces overseas. We are speaking about the years between 1951 to 1958. That means my father showed up, with my mother and I in tow, to what ever post he was assigned to... racially unannounced. That time of my life was fiercely strange and difficult. My father was constantly battling his white superior officers as well as the white enlisted men who were in his charge. I too fought and was beaten at times. My mother suffered my father's trials and mine as well, sometimes having her battles with the officer's wives. Integration, for all its good, is a hurtful process; I suppose, like any other kind of birthing. A birthing whose stretch marks are permanent. However, the countries themselves, Germany and Okinawa, were beautiful, especially Okinawa. We lived off the post across from a bamboo field in a house with a vegetable garden. I think it was one of the most enchanting times of my life. Okinawa was too full of mystery and I was too young, too full of adventure and curiosity to be aware of or even understand what was really happening with my father. I learned Japanese and lived my life (I am an only child), as only a child would, wrestling shadow creatures and fighting dragons in the bamboo field across the street. Okinawa was also the place where I was given my first acting role. In kindergarten, I played the troll under the bridge in Three Billy Goats Gruff. As an actor you have to meet and trust people (artistically) very quickly. I think that's easier for actors who were army brats. Moving every two or three years taught us how to make new friends quickly and easily ... how to fend for ourselves and be independent. It taught us how to deal with, and adapt to, change. JA: Do you have both a favorite experience and a most challenging experience as an actor? JM: Doing T2 was an amazing experience. I had never been involved, as a lead, in a production this big before. Doing Mission: Impossible and M*A*S*H was exciting, but did not compare with T2. 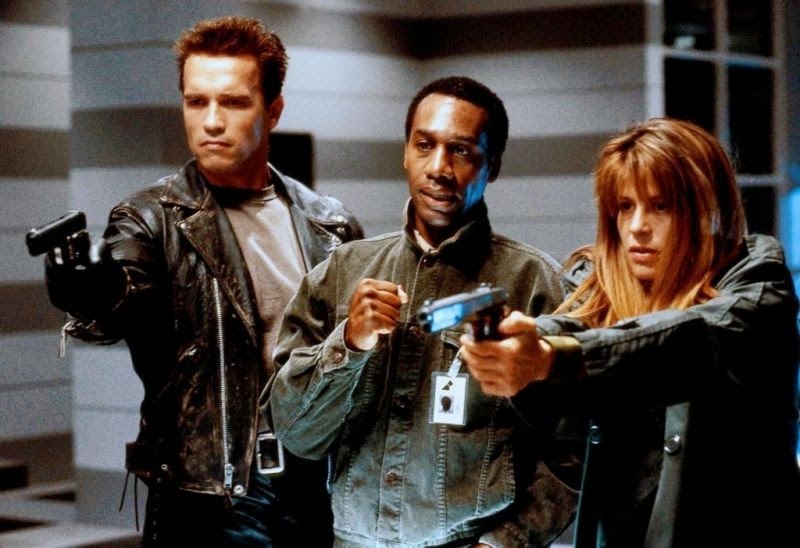 James Cameron was one of the top directors in the biz, Arnold was a mega-star, and Linda was, of course, from the first Terminator film as well as Beauty and the Beast on TV. By this point, I'd only worked for John Sayles, Alan Rudolph, and Walter Hill- so I was not used to movies with a budget as enormous as T2. I was also shocked by Cameron's treatment of the crew. I came to understand that he'd done almost every job on the floor, so he knew exactly how he wanted each job to be done. I suppose his way of dealing with the pressure of doing such a large movie was to be an unrelenting perfectionist about what and how things should be accomplished by his crew. They thought of him as the Terminator. Miles, the human element of the film, grounded but willing to be blind to the consequences of his work is confronted with two extraordinary and somewhat frightening individuals; a cyborg and a woman who tries to kill him. I spent most of my down time in my trailer so that I could keep a certain distance, a certain awe, a certain amount of astonishment as part of my character. 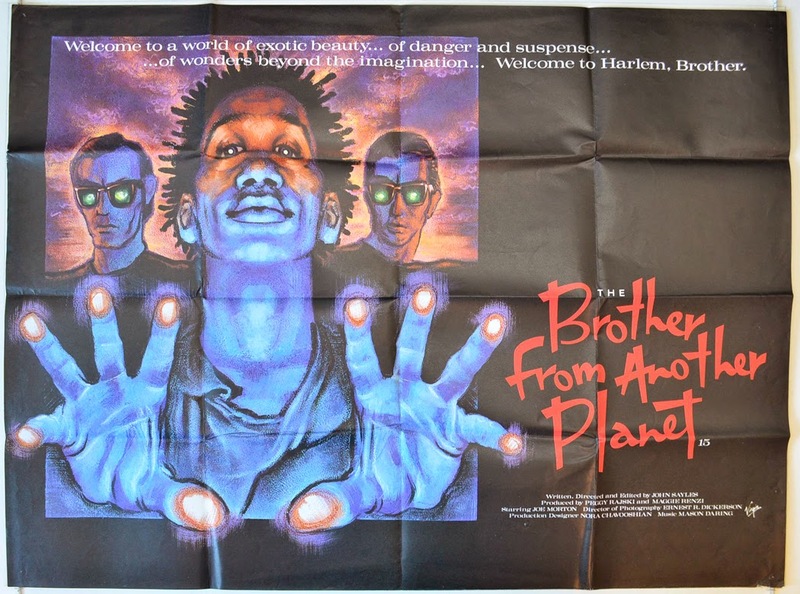 The most challenging role for me remains the Brother in The Brother From Another Planet. 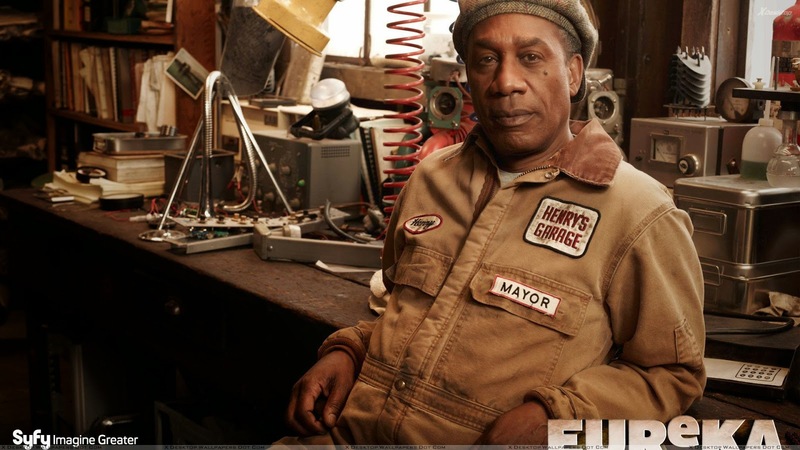 I was playing a character with no facility for speech, who was a stranger to his environment, could heal humans or repair electronic devices by touch, looked like he should know what world he was in but did not, and eventually moved from being reactive to pro-active. I prepared for the role by watching anything going through first time experiences; like a baby or a puppy or someone learning how to fit into a new culture. JM: Doing Blues Brothers 2000 is one of the highlights of my career. To be surrounded by all of those musicians was amazing, incredible, fantastic and inspiring. I can't remember having more fun. At one point I was sitting at the piano with Sam Moore and James Brown as they told stories and sang songs from their past. The first song I had to sing in the film was with James Brown, just before my transformation into a member of the band. What a rush! And the band! Those guys are the unsung heroes of the show. That band is unbelievable. I'm actually in Toronto doing Warehouse 13. 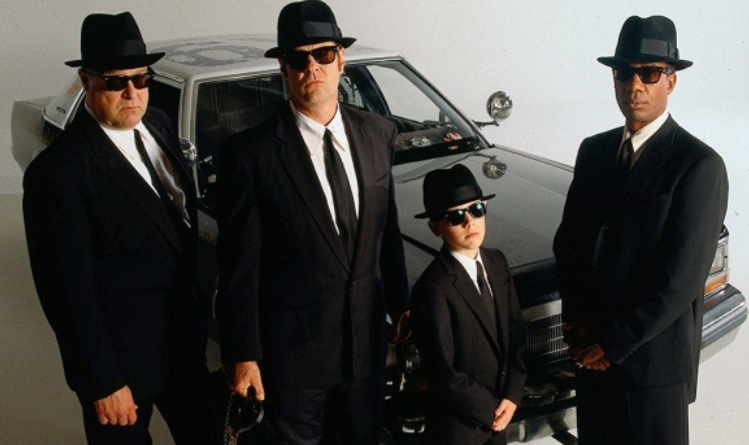 There are a few members of the crew and background cast who were on Blues Brothers 2000 and we've been doing a little reminiscing. I got involved because John Landis called and offered me the role. At first, the studio wasn't sure if I was right for the role because I'd done mostly drama. So, John and I were preparing some material, posters, clips, reviews, whatever I could find to prove I could do comedy. In the meantime, I sang for Paul Shaffer. Paul was genuinely impressed. I think that's what convinced the studio. JA: What was it like working with the cast and crew of The Blues Brothers? 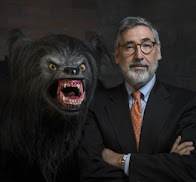 JM: John Landis is terrific. We spent most of the time, when we weren't shooting, telling jokes. Dan is very generous and lots of fun. But the music and the musicians were the thing. We (John, Dan, Evan and I) sang backup for Aretha on "Respect" -- not only in the film but as part of the Grammys. I spent time with Eric Clapton asking him about the album he'd cut with Muddy Waters and Howlin' Wolf. Sam Moore and I became friends, and I sang with him on stage in Atlantic City. Jon Faddis offered to teach my son trumpet. As a matter of fact, a lot of the jazz musicians were in the film because of a list I gave John Landis. As you know, the film ends with a battle of the bands. What was incredible is what happened between takes. A lot of the musicians had never played with each other before so between takes would turn into a jam session. I should say two jam sessions. The rock 'n rollers would jam on one side the stage while the jazz musicians jammed on the other side, simultaneously. Paul had the difficult job of getting them to stop so we could get the next shot. All of this was complicated by the fact that we only had those guys for one day. The first person on stage for this sequence was Eric Clapton. He came on stage, sat on his amp hugging his guitar with a big smile on his face. Someone remarked that they hadn't seen Eric smile like that in a long time. Turns out he had never played with B.B. King before and was anxiously awaiting to meet him. I don't know, but I bet that meeting is what inspired them to do their duet album. JA: You would go on to work with Robert Zemeckis in his 2000 film What Lies Beneath; do you have a personal favorite director to work with? JM: In What Lies Beneath I think I was more excited to work with Michelle Pfeiffer than Robert Zemeckis. She and I had met once before and the work went by smoothly. I was supposed to do two scenes over two days but things were going so well we did both scenes the same day. Actors and directors work best together when they both respect each others ability. In some cases they don't even have to like each other, although it helps if they do. An actor wants to work with certain directors because of their vision and their ability to communicate or translate that vision into act able terms, and directors want to work with certain actors because of their insights into the character and the arsenal of emotional equipment they bring along with them. Favorites directors: John Sayles, John Landis, Joe Sargent, James Cameron, Thomas Carter, and John Woo. I may have left some people out because I didn't really spend a lot of time with them, like Ridley Scott, and consequently didn't get to know them the way I wanted or I've simply forgotten. JA: I loved seeing you on Boston Legal! How does doing TV compare to film? Do you prefer acting in one over the other? JM: Boston Legal was a trip! I loved it. My scenes were with James Spader, in court, with wonderful dialogue and great subject matter... an actor's delight. I had a great time. TV, over the years, has afforded me some delicious opportunities: Equal Justice, Under One Roof, Miss Evers' Boys, E Ring, Eureka, and a host of others. Its difficulty, as a medium, is how rapidly the machinery has to move in order to churn out a product. It's challenge for the actor is making quick choices and being able to adjust those choices as things change. And things are constantly changing. TV scripts have new pages almost every day of the seven or eight (episodic) shoot... and if you are part of a series, your directors change from episode to episode. Film, on the other hand, affords the actors and the director time to rehearse. So there's more time to acquaint yourself with the character and the circumstances... more time for everyone to do research. There's more time spent on pre-production. So there's more detail in the set, costumes, make-up and props. And finally, you may only shoot one or two scenes a day as opposed to six or seven for TV. My favorite is the theatre which is all about the script, allowing four or five weeks of rehearsal, plus it's all about the ideas and the language... unfortunately, tough as it is, because it's live (no second takes during a performance) and the most difficult to pull off, it pays the least. So I can only afford to get involved once in a great while. I'm fortunate to have played in Art on Broadway and the West End of London, and premiered at the National Theatre of London as Colin Powell in Stuff Happens, among many other plays- including Hair. JA: What does it mean to you to be an actor? JM: The actor gets opportunities to study many different cultures, disciplines, psychological perspectives in tandem with the challenge of being able to perform them in a way that makes the character believable -- whether your playing Superman, or Willie Loman, romance, comedy or tragedy, sci-fi, or Shakespeare. As well as fictional characters, an actor gets to study true life individuals and occurrences and research who they were (or what it was) and the expectation is that he or she will develop a point of view on that character or circumstance. Basically, the actor has to ask themselves "What is the story and why am I telling it?" There is no such thing as making negative choices. Even if you're the villain you must take the perspective that you are making the world (or your world) a better place. Acting is getting to do what you did when you were a kid, play pretend, only with a greater sense of purpose and detail- and you get paid for it. JA: Is there a profession other than acting you have always wanted to attempt? JM: I started at university thinking I wanted to be a psychologist or psychiatrist. I fell in love with the theatre. I thought I wanted to be a recording artist but found I hated the music business. However, recently, I've been writing songs again and managed to place a song in Badland (an independent feature that came out last year), Lifelines (another independent feature that came out this year) and Eureka. I may even go into the studio to record, well see. If you're interested I can send you an mp3 of the one of songs. I've also become involved with abstract art vis-a-vis photography. I'm going to be part of a show in South Africa with a couple of painters. JA: If you had to sum up your career with one sentence, what would it be? JM: My career is an ongoing struggle to interpret the world through art.